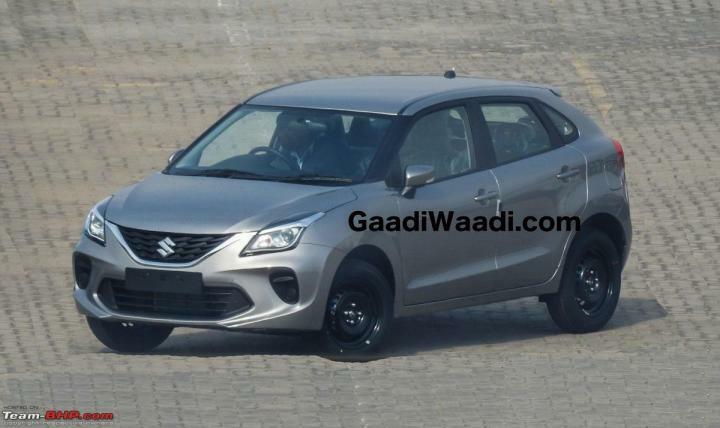 According to a media report, Maruti is likely to launch the Baleno facelift on January 29, 2019. Meanwhile, Nexa dealerships have reportedly started accepting bookings for a token amount of Rs. 11,000. Spy images suggest that the updated Baleno will receive a redesigned front bumper with a wide air dam in the centre and fog lamp pods on either side. The grille appears to have been tweaked as well. It looks wider and slimmer than the one on the outgoing model. The car is expected to get projector headlamps with LED DRLs and ORVMs with integrated turn signals. It is expected to get a few interior updates and new features. The same set of engines that power the current Baleno are expected to be carried over. These include the 1.2-litre, 4-cylinder petrol unit that puts out 83 BHP and 115 Nm of torque and a 1.3-litre diesel that makes 74 BHP and 190 Nm of torque. Both engines come paired with a 5-speed manual transmission. The petrol engine could be offered with a CVT option. The Baleno is likely to get safety features like ABS, dual airbags, ISOFIX child safety seat anchors, rear parking sensors, seat belt warning and speed alert system as standard on all variants.